Masters of Illusion is an American 30 minute reality television series, which kicked off on August 1, 2014, on The CW and is broadcast every Friday at 20:00. The show is currently in its 6th season. The CW has officially confirmed the renewal of Masters of Illusion for Season 7. The exact release date is yet to be announced so far. Sign up to track it down. 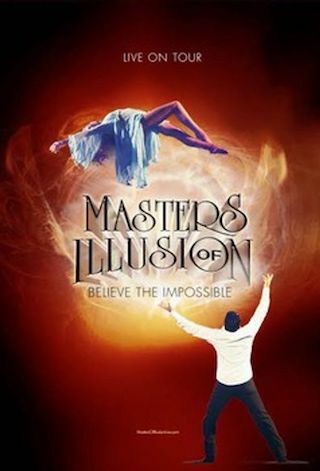 In Masters of Illusion, the world's greatest magicians and illusionists perform magic in front of a live studio audience. There are no camera or computer tricks involved and you'll see tricks such as women turning into tigers, birds appearing from nowhere and sleight of hands in the blink of an eye! From one amazing trick to another, the performances are shown to you non-stop in a spectacular show filled with reality-twisting, mind-blowing magic. ...The CW has also ordered new seasons of the hit magic series PENN & TELLER: FOOL US and MASTERS OF ILLUSION, and the classic improv comedy WHOSE LINE IS IT ANYWAY? for Summer 2019. Premiere dates and times will be announced later.